A full-time public servant, Kieran Ginty qualified from the University of Limerick with a BA degree in Public Administration. Originally from Ballycroy in Co. Mayo, he is now settled in Limerick. 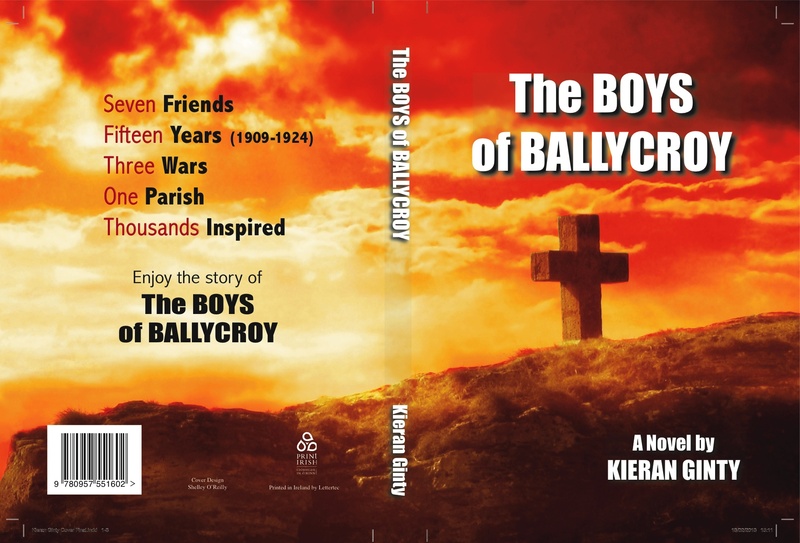 This week, I had a quick chat with Kieran about his newly printed novel, his first, The Boys of Ballycroy. ‘Wuthering Heights’ still remains unsurpassed as my favourite book of all time – even after the arrival of ‘The Boys of Ballycroy’! The following post is reblogged in full from GalleyCat here. The Avengers director Joss Whedon adapted William Shakespeare‘s comedy, Much Ado About Nothing, as a modern-day retelling. The trailer is embedded above–what do you think? As I watched Much Ado About Nothing, I had the distinct thought, “I wonder whether this is the future.” Not the future, of course — I don’t believe we’re anywhere close to the end of the blockbuster, nor do I believe we’re necessarily entering a new age of Shakespeare — but a big piece of the future. Big films have gotten so big, expensive films so expensive, that all of the risk has to be drained out of them, which often leaves behind a dried-out version of whatever was originally intended.